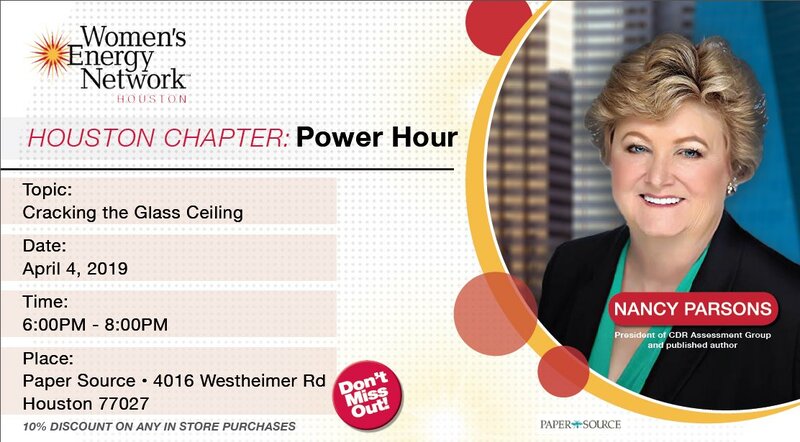 Next month, I’ll be speaking at the first Power Hour of 2019 for the Houston chapter of the Women’s Energy Network (WEN). I’ve been fortunate enough to speak at events for several chapters of WEN in different states, but this will be my first time presenting to the Houston chapter. I’ll be speaking on the topic of “Cracking the Glass Ceiling.” I hope to see you there!